One of the last of Beverly Homes new construction in the community. This is an Oak II Our most popular floor plan. This home has all the modern efficiency and features including but not limited to: Open floor plan, Carolina room, Laminated Hardwood floors in Foyer, Living Room, Hallway , Kitchen , Dining, and Laundry areas, Profiled White cabinets with crown molding, Stainless Steel Appliances,Granite Counter tops in the kitchen, Fully finished garage with opener and 2 remotes, Irrigation System, Rear grilling patio, and much more. 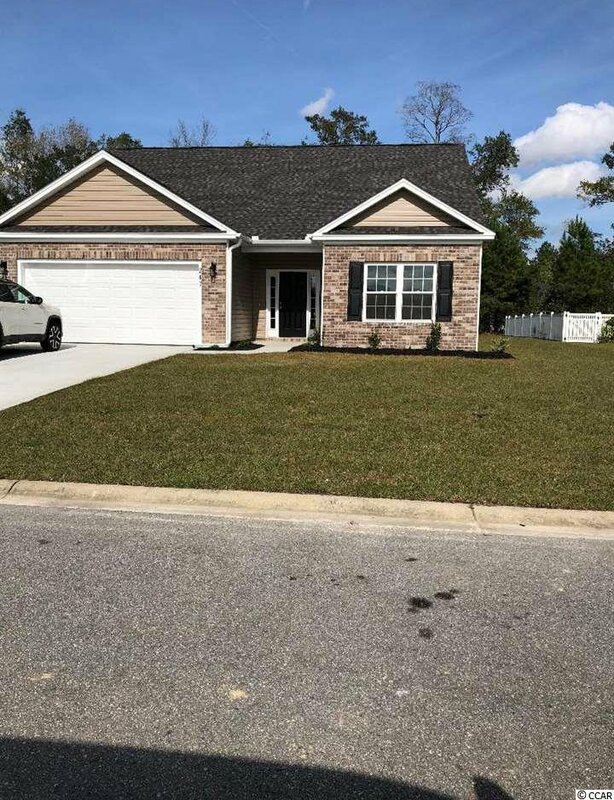 Bucksville Oaks is a great community that offers lots of mature landscaping, Pool and Clubhouse, and a Boardwalk down to the Waccamaw River and much more. Please Call Today! Listing courtesy of The Beverly Group , Kevin Crawford. Selling Office: Palmetto Coastal Homes , Jennifer Mullen.